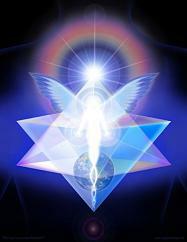 The Hologram of Love is the basis for these extraordinary spiritual teachings and is the simplest, most powerful Ascension tool introduced to mankind at this time. The techniques introduced in “THE MELCHIZEDEK METHOD” seminar are quick, simple and powerful, perfect for these ascending times. The Melchizedek Method will take you on a journey of self discovery, self empowerment and the release of old belief systems and programs that contain you in a limiting space. This work is very expansive and a journey into limitless, unconditional love, non- judgment and unity consciousness, a oneness with all things. THIS TOTALLY NEW systemic approach to eternal health and healing is amazingly simple, quick and very effective which can be learned and practiced immediately. All disease, body and mental malfunction can be approached and healed permanently with no limitation to its implementation. This is healing that anyone can learn and requires no previous experience. This method is perfect for working on yourself or on another person. The Melchizedek Method demonstrates and teaches the skill of removing any part of the body, outer bodies and thought programming into the higher dimensions to be cleansed and healed. Holographic healing and rejuvenation is a skill all human beings will practice in the future, and will be instrumental in ridding the planet of illness and disease.